In a world where we are expected to conform to a common culture, some people who've developed differently can find themselves feeling out of sync with their peers and the world in general. Sometimes this can result in a feeling of being "out of time" as well. What do you do when you're drawn to literature and culture of centuries past? I am at an age where I often find myself reevaluating the course my life is taken. A time when you compare your life to that of those around you and sometimes feel it’s come up lacking. When I look at the trajectory others’ lives have taken, I find myself wondering if I should have made different choices. Such thoughts can be seductive, but when they begin to sway me, I have to remind myself of something — I have never been a person in sync with my peers, and the times that I tried to be have never turned out very well. Starting from a young age, when I was said to be “emotionally immature” in comparison to my peers, I have never fit into the same timelines as everyone else. And even that early label didn’t capture the full reality of my situation. For me, it’s never been a simple as “more mature” or “less mature,” really it’s been just “different.” Unfortunately, this doesn’t fit into the framework of the common narrative. We try to sort and classify everyone into neat little buckets comparative to a so-called “normal” timeline. So, growing up, depending on what aspects of my personality and development an adult saw, I could be classified very differently and very different situations. Other times, it was more clear-cut. By nature, I was a very routine and rules-based child. What other kids fought against, I embraced, and even enforced myself. To this day, my mother still tells fond stories about how “easy” I was at bedtime when I was a young child. In contrast to my elder brother, who would go, go, go until he passed out mid-play, when bedtime came I would put myself to bed whether she was prompting me or not. In fact, instead of having to push me to go to bed, the social situation was often flipped. She would have to rush to finish her tasks and activities, lest she miss her chance to tuck me in and kiss me goodnight. It still amuses her, and is one of those stories that adults could look at and see maturity. I was self-regulating and self-soothing. “Low maintenance.” Ironically, it was in the same period that my peers teased me mercilessly, calling me “baby” and making fun of my interests, which were, in their opinion, vastly too young for my age. Their perception, perhaps, would have been more in line with my father’s experiences with me during the same period of time. My stepfather, in many ways, was similar to me in his love of structure and schedule, thus creating a certain structure to my days there with him and my mother. My father, on the other hand, was much more spontaneous and seemed to struggle a bit with structure. My room at my mother’s was organized, if sometimes sparse. I didn’t always have a room at my father’s, my living situation seemed to change at least once a year. When I did have a room, it was sometimes shared with other children which I didn’t know well (we frequently had roommates to defray costs), and when I had one alone it was always chaotic. Mornings at his home frequently started with a mad dash — to find clothes, shoes, or other necessities. The stress of this constant change and instability, as welcome and fun as it could sometimes be, would would eventually lead me to massive meltdowns...during which my father would accuse me of “having a tantrum as if I were two.” So, what was I? A little adult or a too-big toddler? Neither. I was just me. I was a kid who might be caught reading Dickens while listening to Sesame Street. Not easy to fit into anyone’s paradigm. I’ve always felt out-of-sync developmentally in complex ways, but my differences didn’t end there. I’ve spend much of my life feeling out of sync with my own time as well. I came to adore books like Frances Hodgson Burnett’s A Little Princess, Lucy Maude Montgomery’s Anne of Green Gables, and Louisa May Alcott’s Little Women. Their environments and characters comforted me. In Little Women, I recognized myself in the shyness of Beth and in the brashness and energy of Jo. Like Jo and Anne Shirley from Anne of Green Gables, I felt driven to write. But the character of Sara Crewe from A Little Princess was a touchstone for me, over and over again through the years — in fact, you could probably trace my initial nom-de-internet, aspieprincess, to that early connection. While others looked at “being a princess” as something inborn — something in the blood, she defined it as something in our behavior. Being kind to others, acting selflessly, being a comfort to others, being strong under pressure, and secure in your own self-worth no matter what anyone else said. A princess didn’t let unkindness overcome her. A princess didn’t allow herself to be broken by circumstances. This I needed at some of the worst times of my life. My connection with Sara didn’t end there — it began in the very first pages in the book, when she was described. “She sat with her feet tucked under her, and leaned against her father, who held her in his arm, as she stared out of the window at the passing people with a queer old-fashioned thoughtfulness in her big eyes. She was such a little girl that one did not expect to see such a look on her small face. It would have been an old look for a child of twelve, and Sara Crewe was only seven. The fact was, however, that she was always dreaming and thinking odd things and could not herself remember any time when she had not been thinking things about grown-up people and the world they belonged to. She felt as if she had lived a long, long time.” So did I.
Sara, it seemed, was “queer” like me, in many of the same ways. When it think of this description, I often think of the way my mother often christened me an “old soul,” or more painfully, of the moments when my “odd speeches” left me feeling exposed and embarrassed. I remember, for example, one Thanksgiving when I was probably about seven or eight. My parents had reunited, and we had moved into a new house with a large open concept living room/dining room. Neither of my parents had much family nearby — but my mother wanted to put on a celebration anyway, so she invited a group of friends over to share Thanksgiving dinner with us. As I was the only child present, I was given a seat at the head of the table, a gesture to make me feel special, and not so alone. Sitting at the head of the table, I felt that I should be doing something to greet our guests, and thank them for doing joining us. So, I spoke up. When I finished, everyone at the table began laughing. I was crushed. I was trying to say something nice, and they were laughing at me. I was confused, and said so, with tears rapidly looming. My mother came to my side to explain. What I had said, she told me, was unusual for a little girl. Little children didn’t generally greet their parents’ friends by using the phrase “Ladies and gentlemen,” or refer to their home as their “humble abode.” It was old-fashioned and very formal. “We were laughing because we were surprised, and it was charming,” she said. I wasn’t completely sure this was the full truth — deep down inside, I still felt a blackness that said somehow, someway, I’d done something wrong. I couldn’t be sure that they were laughing with me, rather than at me. I feared being seen as ridiculous. Reading a book about a girl who made odd, old-fashioned speeches made me feel less conspicuous, and not alone. Maybe if Sara wasn’t ridiculous, neither was I. My infatuation went to such an extent, that had I had easy access to the clothing of the time, I may have even dared to wear it to school. But you couldn’t get Edwardian garb at the local mall, so I settled for what I could get, incorporating details as I could get them. I began to let my hair grow extra long, something that led to conflict with my mother. Not knowing the full scope of my Edwardian fascination, the only reason she could come up with for putting up with the aggravation of hair as long as mine was to impress boys. She wanted more than that for me. 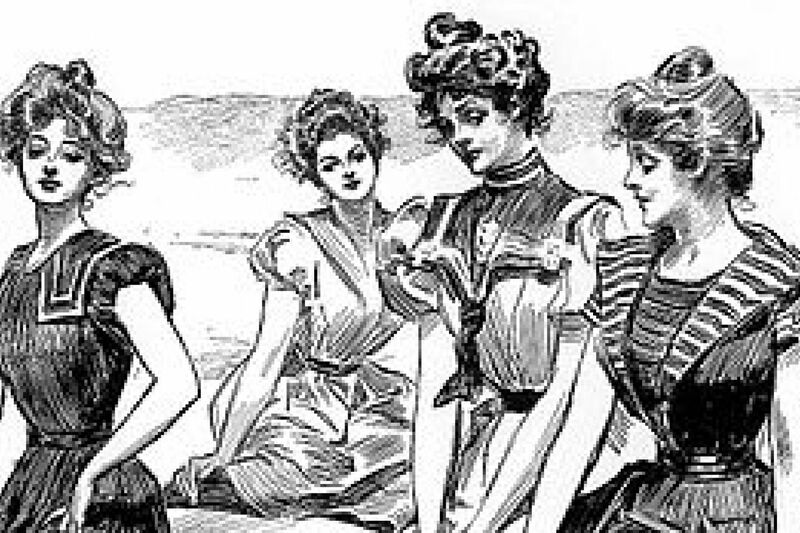 Little did she know my real reason — I wanted to look like a Gibson Girl. What teenage boy would be drawn to a girl who shared her fashion sense with her great grandmother’s peers? It turned out to be a moot point, however, as I’ve never actually been able to manage the style (although ironically, the 21st century technology of the internet has brought me closer to 1900s style than ever before). I’ve never fully understood this affinity, which still dogs me all these years later. In my more fanciful moments, I’ve imagined that it was perhaps a product of a past life — one in which I was happy and treated well. That perhaps that the lingering draw of the fashions and customs of the time are some subconscious attempt to recapture that happiness. Or perhaps it’s just a romanticized yearning for escape, which is why it coexists with my liking for science fiction. Given my strong interest in social justice, at times it troubles me to be drawn so to a period of time in which so much evil was done to so many. I can’t ignore the full picture of what life was like in the time. I regularly remind myself that literary imaginings are far from the actual reality. And I find myself wondering, if I did live during that time, would I have seen the evils for what they were? Or would I be blinded to them, by the mores of the time? I wonder, too, what future generations will think of us. While it’s easy for me to compare my life with others’ and question myself...the fact that I can’t ignore is that I have always been different. What made me happy has always been different than what made others happy. The reality is that the choices that led others to the lives they lead likely wouldn’t have fit well with my likes in this world. To make that fit, I would have had to change myself, who I am — and is that what I really want? 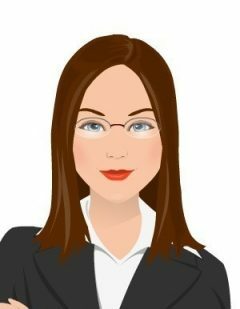 There are many in this world that seem to assume that in order to have a successful relationship or connection with someone else you have to be “compatible,” often a euphemism for “likes all the same things I like and has all the same values that I do.” What does that mean for someone like me? My life has always been duality and difference, and the complexities that have always been in play in my development, my personality, and my likes and dislikes have always carried through every area of my life. I feel in constant contradiction within myself. If we are only meant to be friends or lovers with those whose lives and likes are the same as yours, then I’m not likely to be lucky. I don’t align with any group seamlessly, and never have. I am incongruity incarnate. It’s isolating, but I have to learn to live with it. I have no other choice. The question is, can others learn to understand it? Love it? Even embrace it? My book, Living Independently on the Autism Spectrum, is currently available at most major retailers, including Books-A-Million, Chapters/Indigo (Canada), Barnes and Noble, and Amazon. To learn more about it, visit my web site: www.lynnesoraya.com. 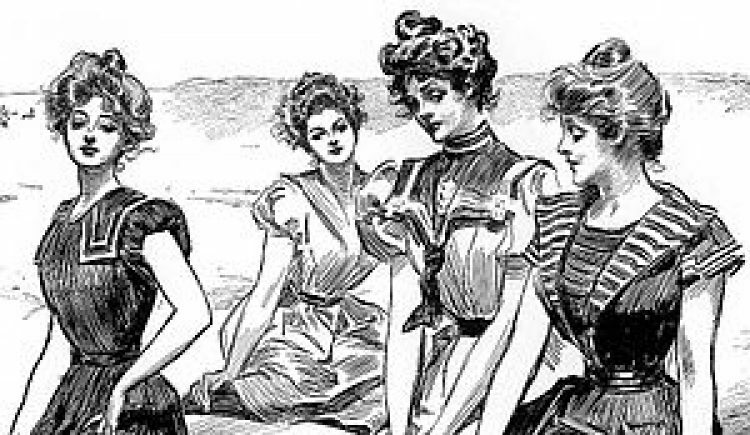 Article featured image: Gibson Girl "pin-ups" at the beach. Lynne Soraya (a pseudonym) learned early the impact of expectations and the reality of the diversity of the human experience. A child with an unusual profile of skills and abilities, she was blessed with excellent teachers who saw through her differences and struggles to the ability beneath. It was only in adulthood, after years of difficulties and confusion, that she learned that her differences had a name: Asperger's Syndrome, a form of autism. Today, she is a woman who wears many hats. As a disability advocate and writer, she works to build awareness to the issues affecting those who do not fit into the mold society labels as "typical." In her day job, she's a technological professional in the Fortune 500 who also works to drive diversity and inclusion in a corporate context.